Moffat County High School's Molly Neton swims the 100-meter butterfly during the Moffat County Meet. Back in the H20 again, the Moffat County High School girls swim team’s latest performance was a solid start to the latter half of the season. MCHS placed fourth at Saturday’s Summit Invitational in Breckenridge, a day that included a first-place finish for Molly Neton in the 100-yard butterfly. Molly hit her lowest time of the season in the race, 1:17.97, more than five seconds ahead of her nearest competitor. Coaches Meghan Francone and Melany Neton said her performance was an example of fine technique in motion. Molly also placed fourth in the 100 backstroke at 1:13.24, with sister Alexa also fourth in the 200 freestyle at 2:34.24, with Kelsey McDiffett fifth in the 200 individual medley at 2:48.98. The Netons, McDiffett and Katelynn Turner took the bronze as a group in the 200 free relay at 2:03.73, as well as fifth in the 200 medley, 2:21.33. Meeker’s Jeni Kincher was back in the pool for Moffat County, fifth in the 50 free at 31.1 seconds, as well as heading the team’s additional relays alongside Ellina Jones, Alyssa Chavez and Tayla Siminoe, eighth in the free relay (2:16.36) and ninth in medley (2:41.19). Though the Bulldogs didn’t quite cut times across the board as in the pre-break meet in Montrose, the Summit Invite still saw new bests — Chavez (33.66) and Jade Holman (37.9) in 50 free; Alexa Neton (1:21.18) and Sammi Beaver (1:44.04) in 100 back; Siminoe (1:42.21) and Chavez (1:50) in 100 breaststroke; and Jones (3:16.22) and Holman in 200 IM (3:24.91). 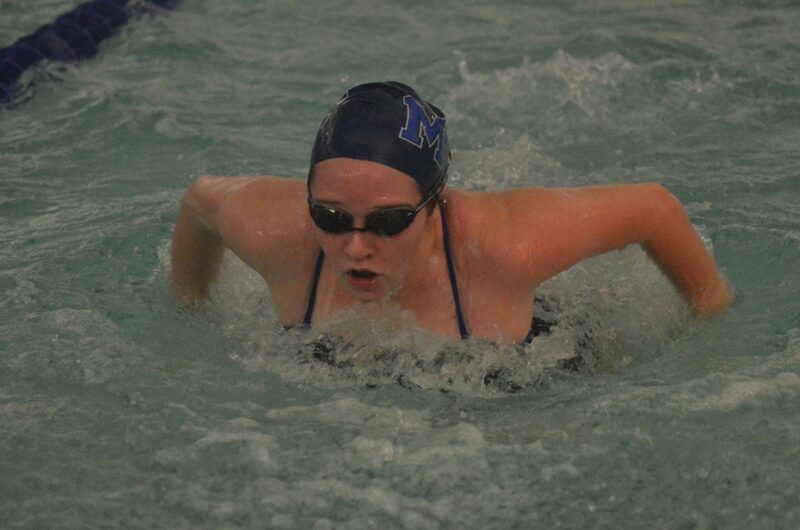 MCHS swimmers will next compete Friday at Aspen and Saturday in Glenwood Springs.